green tea: Cupcake Camp Toronto - recipe! Cupcake Camp Toronto - recipe! Cupcakes!, originally uploaded by edlynnecanada. 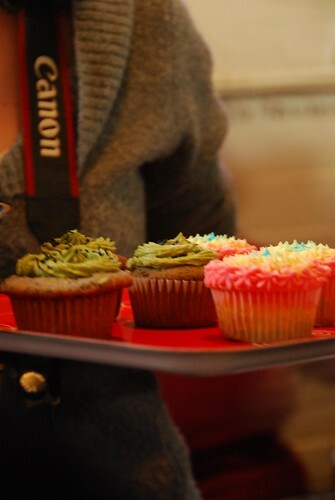 To those people I connected with at Cupcake Camp today, it was a pleasure to meet you! I promised a link to the recipe for the black sesame cupcakes and here it is, via the Delicious Coma food blog. 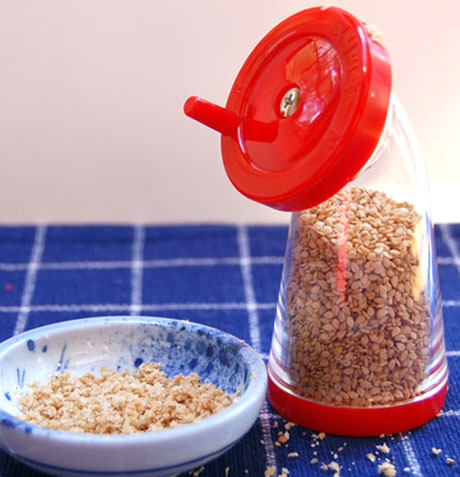 In Toronto, roasted black sesame seeds and sesame seed grinders can be found at the marvelous P.A.T. Central at Bloor and Manning. Update: here's my full write-up about the day. oh my god, they have cupcake camp in TO?? I need to hear more about this. I tried to check out their site, but it's not very well managed/organized. I can't wait to read your write up! Hey Andrea! Your cupcakes were really delicious! I was actually sad when I didn't get a chance to talk to you afterwards and tell you that your cupcakes were yummy! They were fabulous for an amateur baker, and I thought it was really innovative! I'm excited you posted the recipe so that I can try them out myself! Your cupcakes looked phenomenal. But I was not about to give up an arm and a leg for the fight to get one:P Can't wait for your recipe! !